Cisco Systems this week offered some insight into just how much mobile data the world is consuming — 2.5 exabytes a month, to be exact – and now a new report from Amdocs sheds a little light on who among those billions of users is consuming the most. Amdocs found that just 10 percent of mobile users are consuming 80 percent of the world’s mobile data traffic. [company]Amdocs[/company], a telecom equipment maker that specializes in billing and network operations, calls these folks the “Technorati,” and it’s easy to figure out who they are. They’re the consumers sporting not just advanced smartphones and tablets but often multiple connected devices. And Amdocs isn’t the only company that’s seeing these trends. 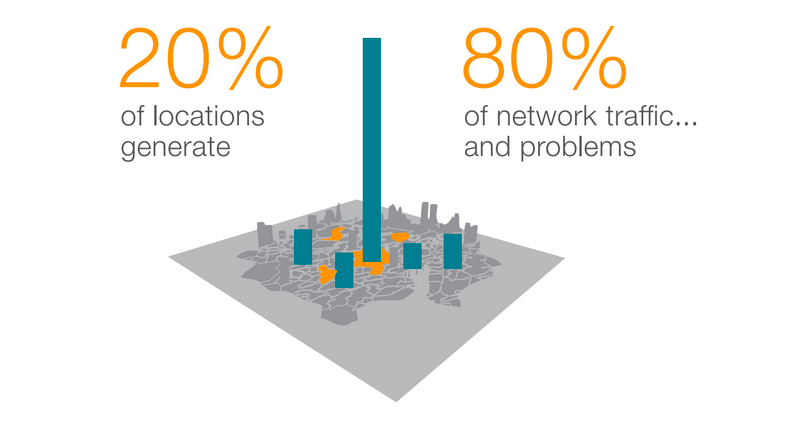 Cisco’s Visual Networking Index focused on overall global carrier trends, not just major cities, but it found the top 10 percent of users consumed 65 percent of all traffic. Furthermore, by [company]Cisco[/company]’s calculations the highest 1 percent gobbled up 18 percent of all of the world’s mobile data, with each averaging 15.2 GBs per month. Apparently there are even more elite tiers within the world’s data elite. They said that oil was never going to come down in price, and the same may be true for bandwidth. This story suggests that the market may be more hollow than we think. As I have said before, very popular microblogging and Tweets are theoretically very tiny bandwidth users, and even streaming services constantly tweak their throughput. i would be interested to know what devices the heaviest users are using. i would guess not any mobile device but laptops or desktops with USB data sticks or via wifi tethering. my experience is even modest use of mac, windows or linuc using many multples the amount of data of any mobile device. Anecdotal but may help paint a picture. One person is elderly, cannot figure out any laptop/desktop (no matter windows 95/XP/7/8 or mac.) But she can figure our her smartphone, a Lumia 920 (doesn’t matter, iOS or Android would also get same usage.) She uses social apps and surfs the web to account for about 5gb mobile traffic per month. Another is my sister on my family plan. She gobbles up an astounding 20gb per/mo using her Lumia 1024 as a wifi hotspot to her Dell Win 8.1 laptop. My mobile usage is about 2gb per/mo…and that is HEAVY usage for me. Even using my 920 as a hotspot for 4 days in a row, I never go over 2gb. I suppose I am part of the 1%, but most of my data is music streaming and app updates. One Play Store movie is at least 1 GB… My worry is that people such as myself will be singled out for actually using the technology, and not being someone who buys a $700 phone to update their Facebook status. And when are we going to call foul on these ridiculous data caps? What is the point of 4G LTE when you can use your 2.5 GB in an hour? Sorry, cell companies, it doesn’t cost you very much to transport 1 GB of data, certainly not what you charge. This number only applies because folks now a days are so cautious about about not going over their data plan cap. They’re always worried, and making sure they are connected to wifi to avoid ridiculous overage charges. On Verizon 15.2GB a month is about $150 in overage charges since they took away my unlimited plan. My cell Internet use has dropped 70% since losing that plan. If I had known upgrading my phone was going to lose the plan, I never would have upgraded. I even tried to get the store to give me my old phone back and they wouldn’t.